Designing and painiting was essential to me since my childhood. After having studied wood design in Saxony I studied achitecture of the interior in Mainz/Rhine. In the year 2000 I decided to follow Jesus Christ with all my heart. Since that year I have increasingly received inner visions, mostly of a symbolic character. My Bible reading on a daily basis is to me the key to interpret my internal pictures. They help me understand God’s love towards us, the sacrifice of Jesus Christ – the forgiveness of our sins and God’s intention to heal us from our injuries and to transform our character more and more into the image of Christ. My paintings are inspired by my inner pictures. Therefore they are to be understood rather symbolically. 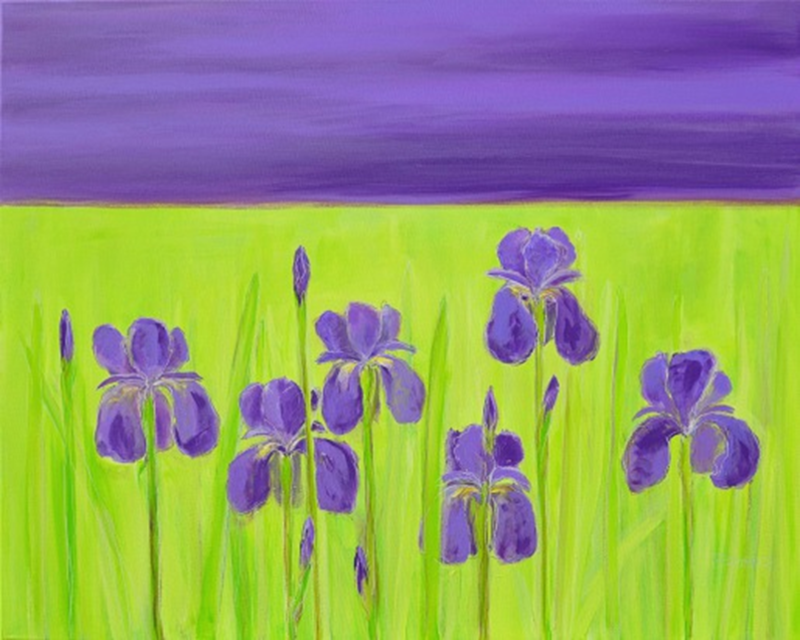 To give an example: the violet lillies grow on a green ground. The colour green represents the new life in Christ Jesus which the Holy Spirit helps us to live. The violet colour means the authority which is given to those who love God and trust in him.